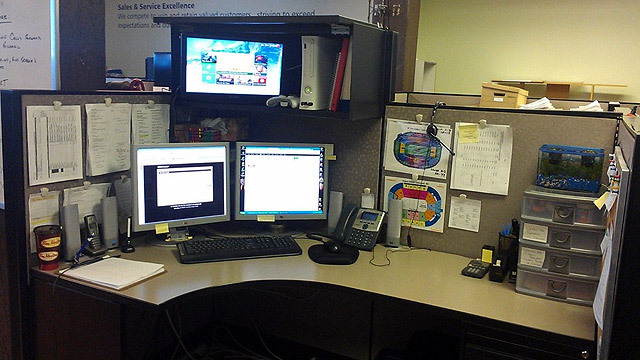 Lifehacker reader JonesyVan’s workspace looks like your typical cubicle. Hidden in the filing cabinet, however, is some serious entertainment for break times (i.e., “when Bossman decides to exit his office”): a wall-mounted TV and Xbox 360. This entry was posted in Amusements, Gaming. Bookmark the permalink.